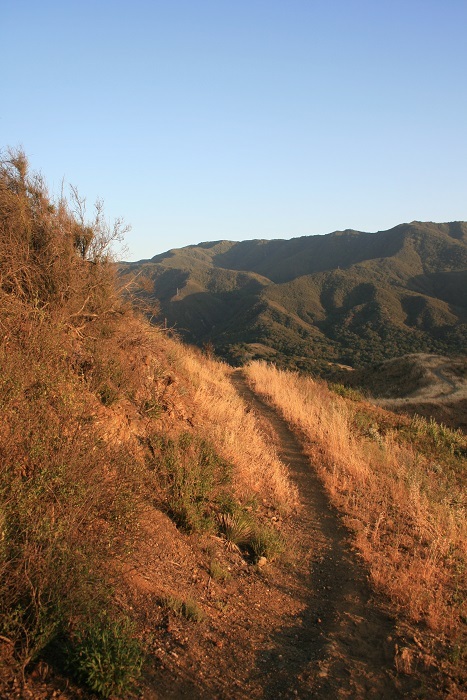 Location: Sage Hill Campground, Santa Ynez Recreation Area north of Santa Barbara. From Highway 101, head southeast on Highway 154 for 22 miles if you’re coming from the north; northwest on Highway 154 for 10.6 miles if you’re coming from the south, to Paradise Road. Head east on Paradise Road for 4.5 miles and turn left into the Sage Hill Campground. 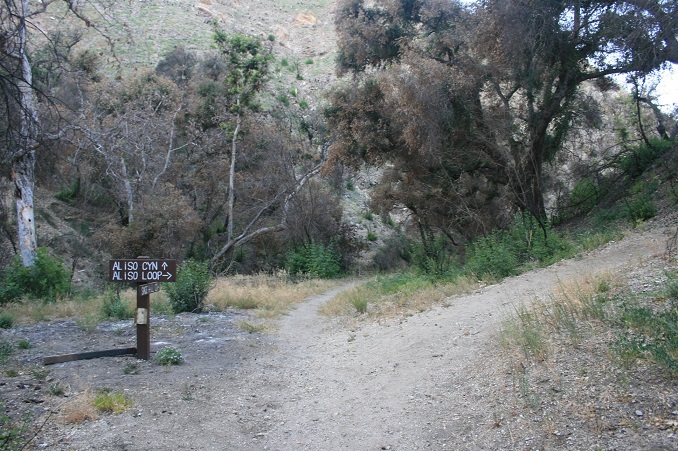 Turn left into the campground, make a hard right, make another right and bear left into the lot signed for the Aliso Canyon Trail. A National Forest Service adventure pass ($5 per day or $30 per year) is required. Click here to purchase. 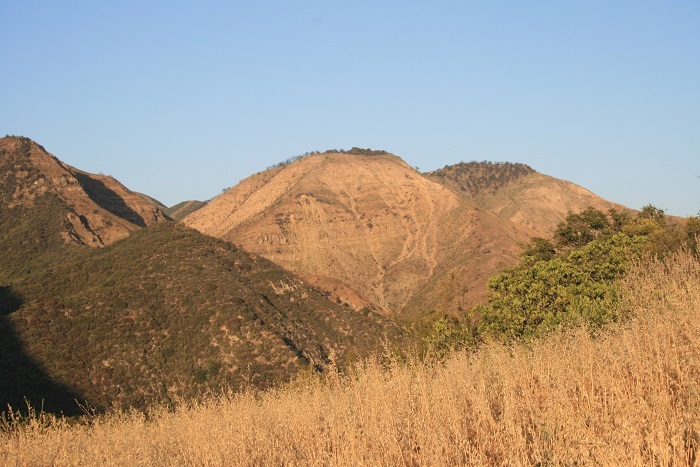 This hike has a little bit of everything: pleasant oak and sycamore shaded woodlands, narrow canyons, panoramic mountain and valley views and some rather steep climbing to get to it all. 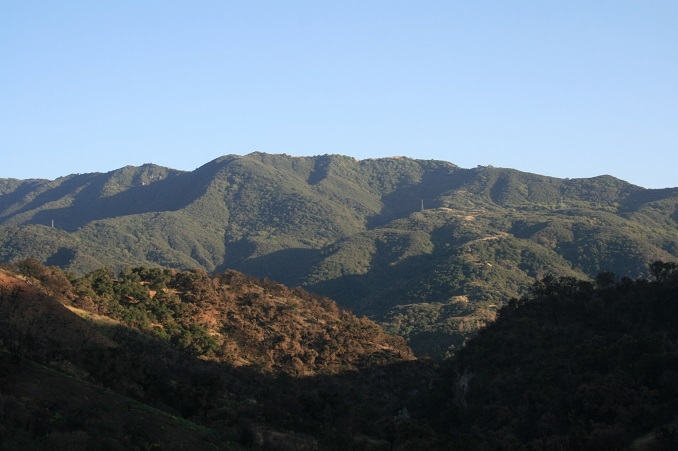 Though the upper ridges are exposed, with an early or late start, the hike can be done during warm days. 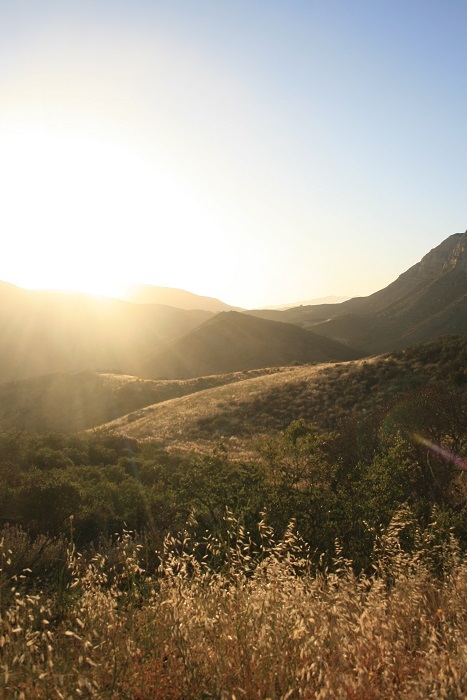 Sunsets here can be exceptional; the Santa Ynez Valley resembles Ojai but feels even more remote. 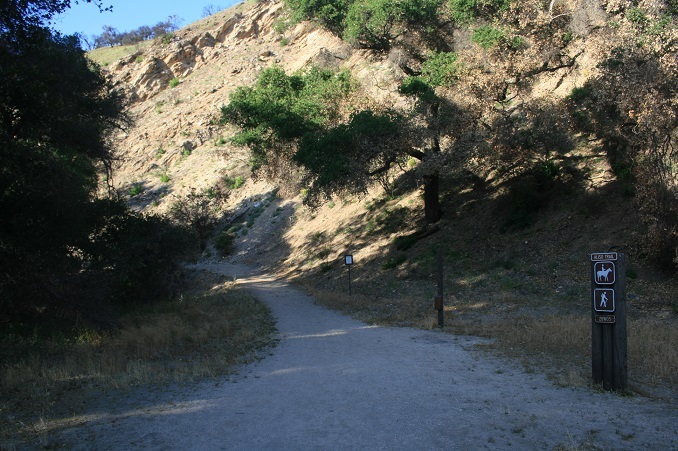 From the parking area, follow the signed Aliso Trail into the canyon. You stroll for a peaceful 0.3 miles beneath the oaks before reaching a junction. The loop can be hiked in either direction; by hiking clockwise (staying straight) you can wait a little before tackling the major ascents (if you head right, you will be climbing immediately). Assuming you opt for clockwise, continue north into the canyon which quickly narrows. You climb briefly up from the stream bed and drop back down briefly before beginning the major ascent: almost 600 feet in 0.7 miles. 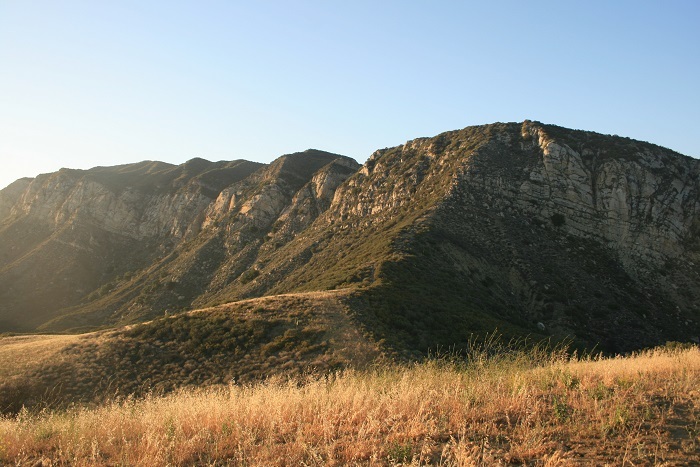 The good news is that you get some excellent aerial views of Aliso Canyon on your ascent. The trail gradually levels out, bending to the east and heading through a meadow (watch out for burrs on the plants; wear long pants if possible) before reaching a T-junction. Here you get a good view down into the neighboring canyon, Oso. Turn right and make another steep but short ascent to an unnamed summit where you can sit and enjoy a 360-degree vista. 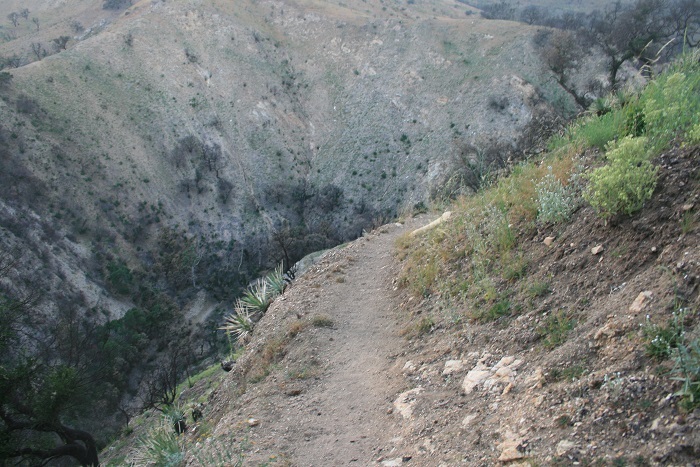 From here, follow the ridge between the two canyons, heading south, making one more brief climb to another knoll before descending back into Aliso Canyon. You drop down to another meadow and make a final series of steep switchbacks – sometimes cutting right up to the edge of the hill – completing the loop at 3.2 miles. Retrace your steps back to the campground.